“Damnatio ad Gladium,” the magistrate pronounced… “I’m innocent“, Shimon screamed… But it was too late… Shimon had just been condemned to die in the arena. 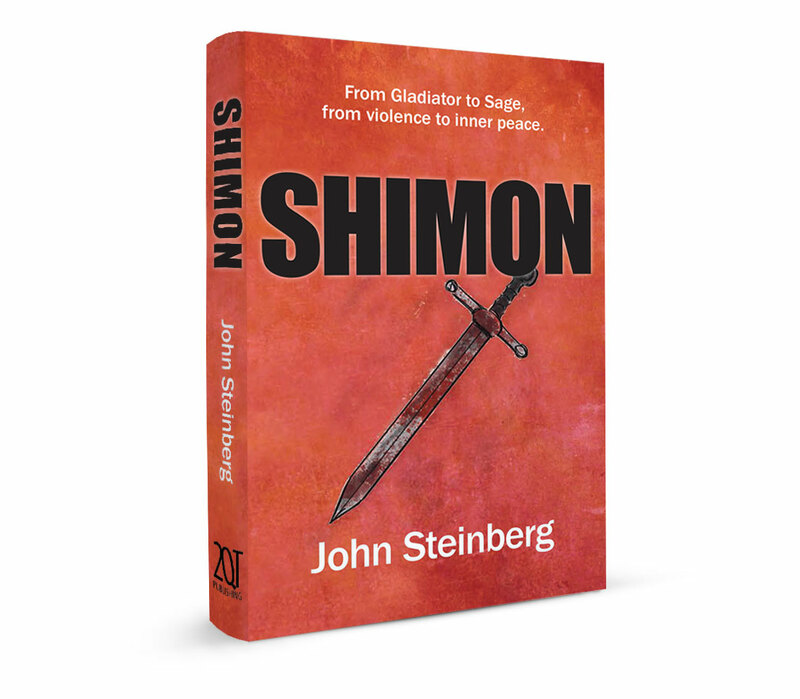 Set in the bustling streets, glorious palaces and fearsome gladiatorial arenas of the third-century Roman Empire, Shimon is a moving story of one man’s journey to maturity and the rediscovery of his faith. Can a young man, beset by intrigue and jealousy because of his physical strength and his race, find redemption and a real purpose in his life? Shimon, a poor farm hand living in a remote part of the Roman province of Arabia Petraea during the third century, believes that his fortunes will improve when he secures a position as a bodyguard to the governor’s wife. He doesn’t anticipate the hostility he experiences from the other slaves who despise him for being a Jew. They succeed in discrediting him and Shimon is falsely accused of seducing his mistress. His punishment is to be sent to the arena to fight for his life as a gladiator. When Shimon’s twin sister Miriam learns of his plight, she becomes a healer at the arena and tries to obtain his release – but her experiences in this brutal environment result in her premature death. Shimon, however, survives and is granted his freedom. He goes to bury his sister in the Galilee, the place where Miriam believed he would eventually be free to lead a meaningful existence. There Shimon encounters a scholar, Yochanan, who persuades him to give up his violent past and pursue a life of learning in Yochanan’s religious academy. Although he is physically safe, Shimon now finds that he is fighting for his spiritual survival. Despite excelling at his studies, becoming his master’s study partner – and eventually his brother-in-law – he finds uncomfortable similarities with his former life.